As a natural rearing breeder, animal health is my top priority. Holistic Veterinarians have recommend TFactor Plus as an immune system builder. Dr. Will Falconer, D.V.M. writes: “Most of the chronic diseases we commonly see in animals (and humans) have an immune basis, e.g. diabetes, allergies, asthma, thyroid disease, inflammatory bowel diseases, repeated ear infections, cancer, etc. Tfactors can significantly shorten the course of recovery by giving a much needed balancing effect to the immune system. 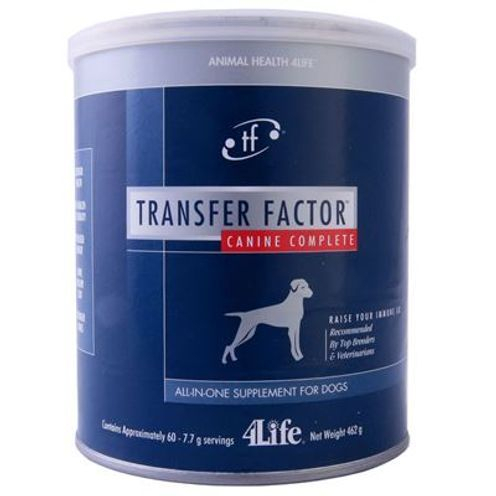 Dr. Slaglee DVM says that he has used TFactor as stand-alone and in conjunction with allopathic therapies in the following cases with excellent results: CANCER: Canine lipomas, Canine/feline hepatic tumours, Equine squamous cell carcinoma, Equine melanomas; Feline leukaemia, oral tumours. VIRAL/BACTERIAL: Upper and lower respiratory infections, Canine/feline dermatoses, Equine/bovine scours, Equine septic arthritis, Feline abscesses. PARASITIC/FUNGAL/AUTOIMMUNE: E.P.M., Feline and equine fungal dermatitis, renal failure, and Feline autoimmune gingivitis. Hundreds of thousands of dogs and cats are using TFactor to protect against most ailments (from back yard pesticides, pet food allergies and hormones, toxic formaldehyde in furniture and carpeting, ailments transmitted from dog parks and the vet’s office, etc), while maintaining a vibrant vitality with bountiful energy and a beautiful skin and coat. TFactor fills the immunity gap all puppies experience. Shortly after birth maternal antibody effectiveness is greatly reduced. By 8 weeks your puppy’s immune system is at a vulnerable point. Once in their new home, the immune system is weakened by the stress of adoption and exposure to novel bacteria and viruses in their environment. Continuing TFactor Plus and a holistic approach is important to helping your puppy grow into a healthy adult. 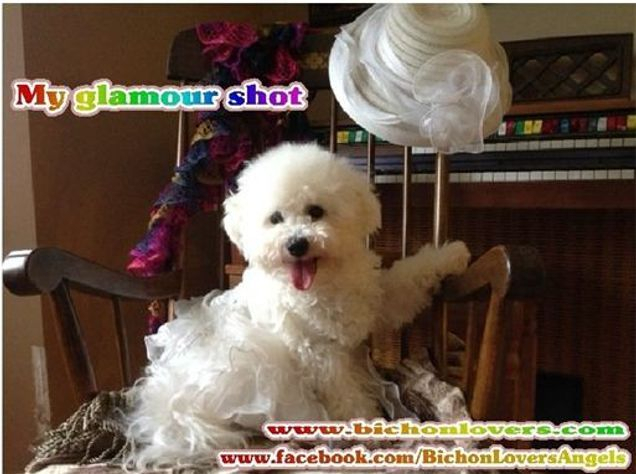 Dr. Blanch, D.V.M writes”You take healthy animals and often very quickly after you vaccinate, you can see simple things like itching of the skin or excessive licking of the paws, sometimes even with no eruptions. We see a lot of epilepsy, often after a rabies vaccination. Or dogs or cats can become aggressive for several days. Frequently, you’ll see urinary tract infections in cats, often within three months after their [annual] vaccination. If you step back, open your mind and heart, you’ll start to see patterns of illness. “Routine” vaccination has adverse side-effects, either short or long term. With vaccines that are repeated year after year, the frequency and severity of these side-effects in pets has increased dramatically. Most of the problems involve the immune system. After all, the immune system is what vaccines are designed to stimulate. But they do so in a very unnatural way that can overwhelm and confuse the immune system. Conway, USA – “The most common problems I see that are directly related to vaccines on a day to day basis are ear or skin conditions, such as chronic discharges and itching. I also see behaviour problems such as fearfulness or aggression. Often guardians will report that these begin shortly after vaccination, and are exacerbated with every vaccine. In a more general and frightening context, I see the overall health and longevity of animals deteriorating. The bodies of most animals have a tremendous capacity to detoxify poisons, but they do have a limit. I think we often exceed that limit and over-whelm the body’s immune system function with toxins from vaccines, poor quality foods, insecticides, environmental toxins, etc. This is why we’ve seen such a dramatic increase in allergies, organ failures, and behaviour problems.” (NOTE: a growing number of holistic veterinarians use TFactor before,during and after vaccination to minimize the side effects and help the animal recover). TFactor is very beneficial during immunization. What is Tfactors and how do they work? In the first critical days of life for humans and other mammals, a mother passes on vital immune knowledge through the first meal—colostrum—which contains tfactor molecules. As nature’s first supplement, these memory molecules transfer immune experience to educate and prepare the newborn’s immune system to function in the world. Results of an independent study conducted at the Russian Academy of Medical Science conclusively showed that TFactor propelled Natural Killer(NK) cell activity to a remarkable 437 percent above normal immune system response. How does TFactor compare to the colostrum products that are on the market now? We looked seriously at hyperimmunized colostrum and eggs. These products are good but certain issues must be addressed. First the milk allergy and lactose intolerance issues as we discussed above. Second the issue of immunoglobulin or antibody effectiveness. The use of cross species antibody therapy can be effective in the short run. Long-term use is ineffective since the recipient develops antibodies to the foreign antibody thus destroying its effectiveness. Antibody therapy is given intravenously since oral consumption leads to acid degradation in the stomach. What is the difference between Tfactors and colostrum? Tfactors are the most powerful part of colostrum. Colostrum contains bovine specific antibodies that can cause allergic reactions. However, Tfactors are not species-specific and can be given to another mammal without reaction. In addition, Tfactor supplements are vastly more concentrated than colostrum alone. In fact, you would have to consume many quarts of colostrum to receive the same benefits of one Tfactor capsule. While vitamins and herbs provide nutrition to the immune system, Tfactors provide information so immune cells can do their jobs faster and more effectively. Research over the years has revealed that Tfactor molecules are abundant in nature. Through a patented filtration process, they extract tfactors from cow colostrum and chicken egg yolks for the foundation of its Transferceutical™ products. Animals of all ages can benefit from nature’s first supplement by borrowing immune memory from the strong, heroic immune systems of these two animals. You want a strong and vibrant immune system. That’s why you exercise, get the right amount of sleep, eat healthy, and balance your stress levels. But even your best efforts sometimes leave you feeling rundown. What else can you do to keep your body feeling balanced and strong? Transferceutical Science is a journey that began with Tfactor memory molecules that form the basis of TFactor® products. Innovations in tfactor sources allowed Targeted TFactor products to meet specific needs of the body. Never willing to settle, they pursued a further understanding of immune cells with the discovery of immune activity in nanofraction molecules. research of Tfactors initiated the study of smaller molecules with vast power for the immune system. Nanofraction molecules are tiny molecules within colostrum, a source of vital immune knowledge, with their own unique immune properties. Robust support for the immune system and the entire body is vital. Through its continued innovations, Targeted TFactor® products to uniquely support specific body systems and facilitate a healthy immune response. These products are reinforced by scientific research that points to several links between the immune system and other body systems. Targeted TFactor products provide specific support for different body systems, including the cardiovascular system, metabolic and endocrine systems, female and male reproductive health, urinary system, and brain. But forgotten research from the Purdue University of Veterinary Medicine sheds light on just how damaging certain vaccines may be to our pets after all. Let me know if you would like to try some Tfactor. I can order TF under my wholesale account. I also would like to make sure you purchase the appropriate formula. I use the patent Tfactor directly from the company.